I took a trip along the Conwy Valley by rail from Llandudno Junction to Blaenau Ffestiniog and back. Nothing I experienced will convince me to give up my car!!!!! We left Llandudno Junction on time but the single car unit was noisy, hot and smelly and there wasn't a spare seat to be had . 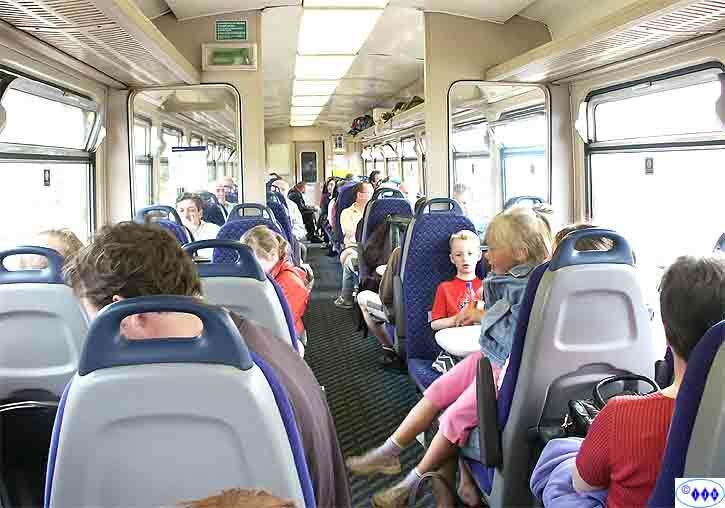 Why do these trains only run every three hours in mid Summer and why do the railways persist with these disgusting single car units? Betws y Coed and I break the journey to get some lunch at the cafe on the platform - apparently breaking the journey is NOT allowed on the outward run!!! Well actually it might be - it depends whether you are on the train or at the booking office!!! More later. 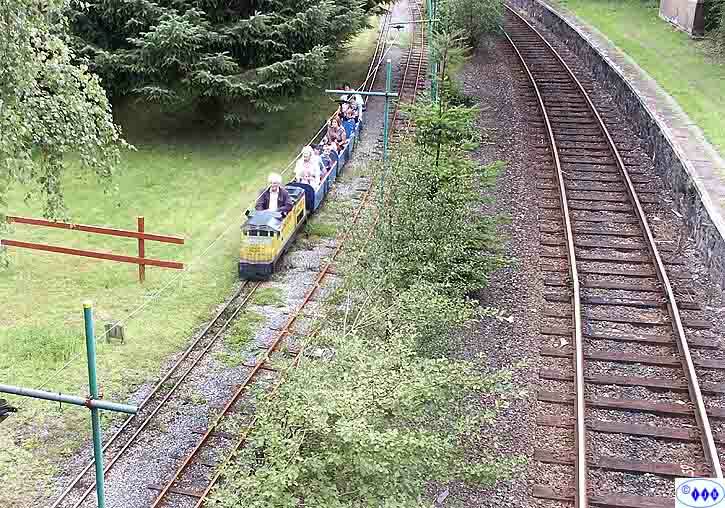 Very pleasant at Betws as usual and the novelty of three gauges running in parallel - on the left is the NG train, centre is the tram (not working today) and on the right is the standard gauge railway. There was an interesting incident with the foot bridge when one of the steps partially collapsed. The museum staff quickly placed notices and cones to warn people and also advised that Network Rail (formerly Railtrack) had been advised. To their great credit, Network Rail had a chap on site and the repair completed in under the hour - a very responsible reaction I think! 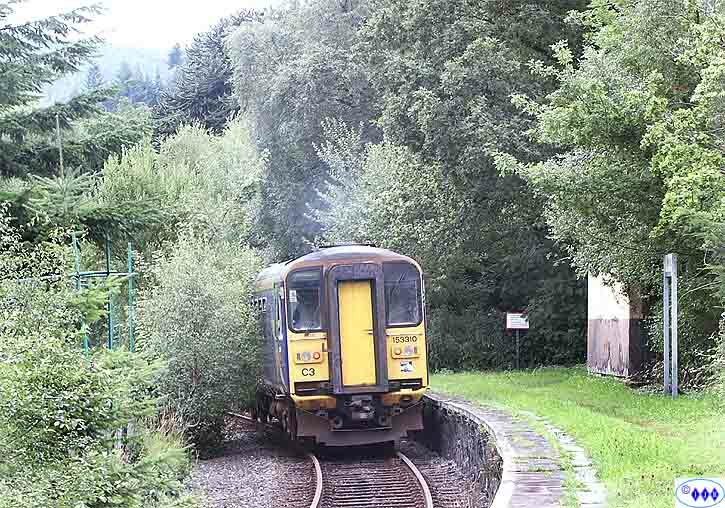 The rail car left for Blaenau, pushing the undergrowth out of the way en route. 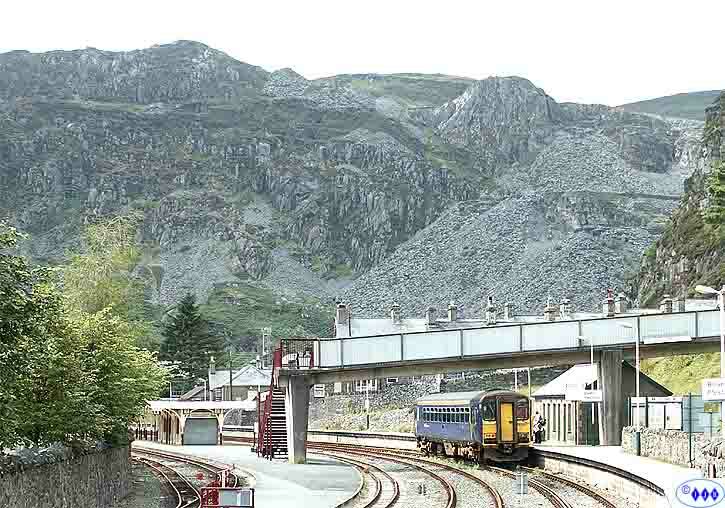 Blaenau Ffestiniog and the rail car is dwarfed by the vast pile of slate waste and large lumps of mountain! 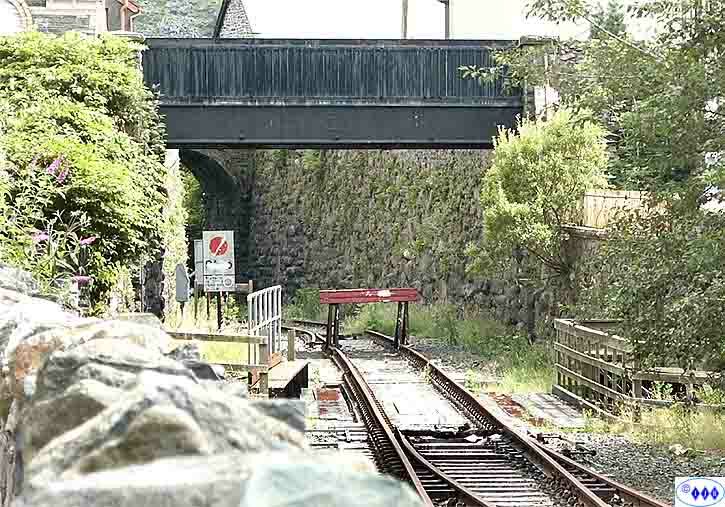 The headshunt and the line is now blocked South of Blaenau. The last time I saw this was when the FNW Farewell Special reversed two class 37 locomotives here. 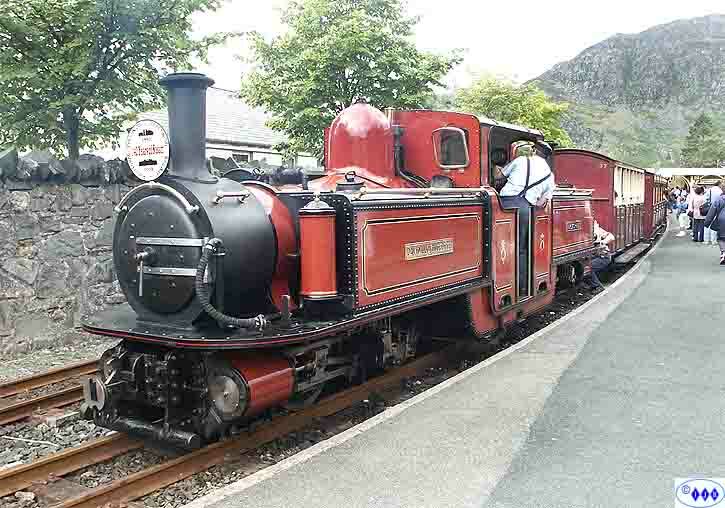 The FNW rail car waited for the Ffestiniog Railway service to arrive which was loaded to the roof! 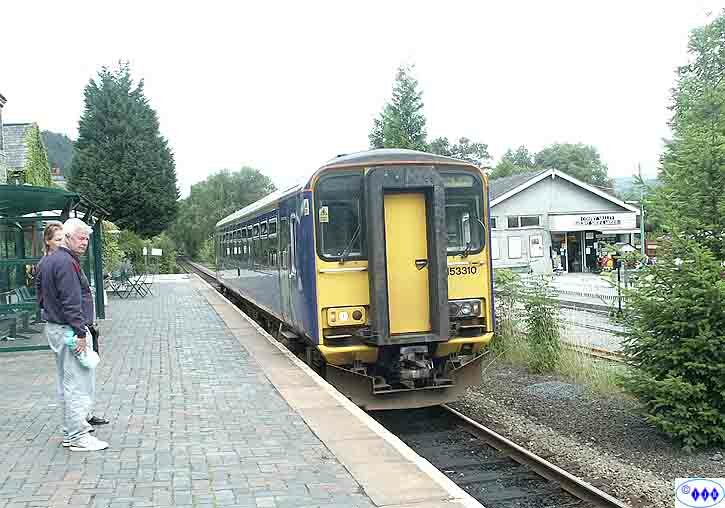 When I returned to the train at Betws to continue the journey to Blaenau, I was advised in a very loud and demeaning voice that my ticket only allowed me to break my journey on the return run and not on the outward run. I enquired when this had come into effect and was told "since 1976 when I joined the railway"! I have travelled the Crewe-Holyhead-Llandudno-Manchester routes more times than I can remember and broken my journeys an equal number of times without problem. I have enquired with both ticket office staff and train staff and the answer was always the same "no problem" Now I know that the Blaenau branch is a different line but it is operated by the same company so I am confused. That confusion was compounded when I asked at the Llandudno Junction ticket office as to whether I could break the journey on the branch and the answer was "Yes, as many times as you like. A letter is even now winging its way to First North Western for clarification. 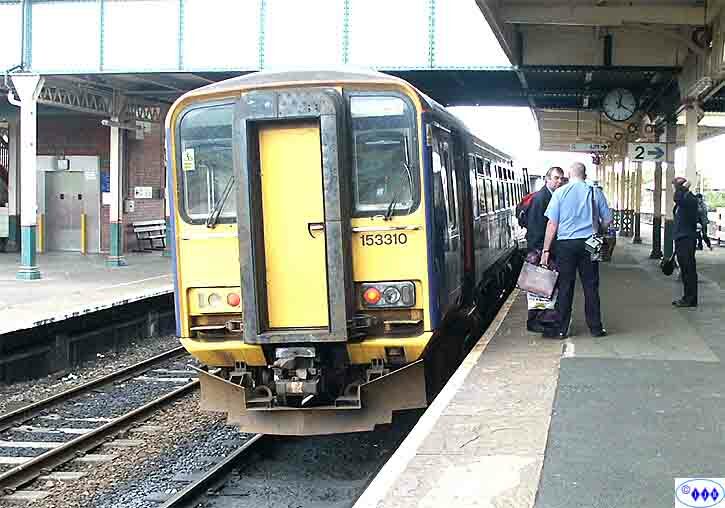 Travelling on the North Wales Coast with First North Western has always been pleasurable where the staff are concerned, indeed I can't remember anything but friendly chats but at Llandudno Junction and on the Blaenau train, well, what a miserable, bad tempered bunch! Their attitude certainly acts as a reminder to re-tax the car.